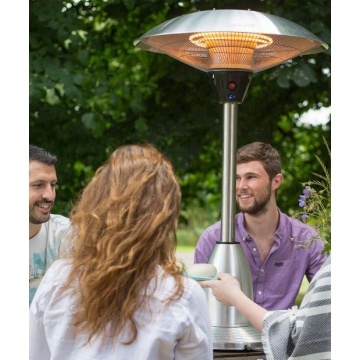 The Electric Halogen Table Top Heater has a sleek modern design which is suitable for indoor or outdoor use. 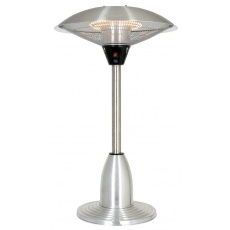 Electric Table Top Heater 69515. 3 heat settings 900w, 1200w & 2100w. Element lasts up to 5000 hrs. Only heats the people not the air. Anti tilt shut off device.